Aside from new clothes and school Christmas parties, kids look forward to gifts that they will receive this Christmas season. “Mano po Ninang, Mano po Ninong” are common terms to be heard in this time of the year. I jot down the names of my godchildren and so with my husband’s. I also indicate the age after their names in my list in order for me to get the right gift for them so as not to forget or miss one. I allocate a spending plan in shopping for Christmas gifts. 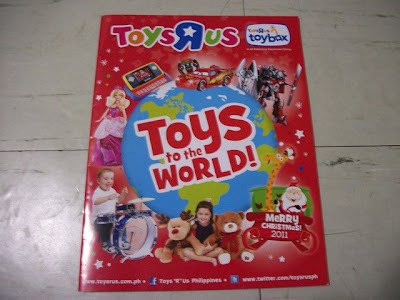 In order for me to get an idea of how much will I spend, I get a catalogue from toy stores. 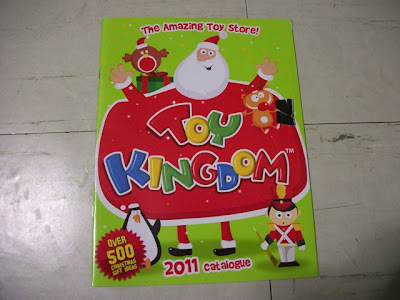 These toy catalogues are my reference to what will I buy. 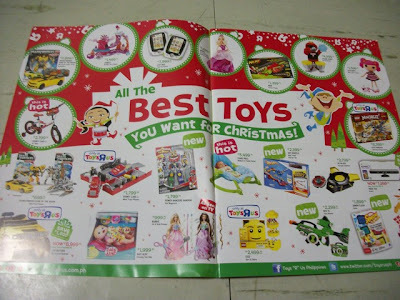 Toys are classified according to age and gender. It also offers amazing hot deals that will fit the budget. I enjoy browsing the catalogues especially on the girl’s section. There are so many toys to choose from. Educational toys, like brain teasers, artsy crafty, and totally techy. Collectibles like action figures, cars, dolls and lots of play sets. 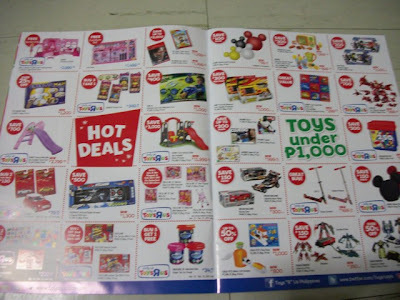 Hayyy dto wala pang mga toy stores...pangit mga choices here.